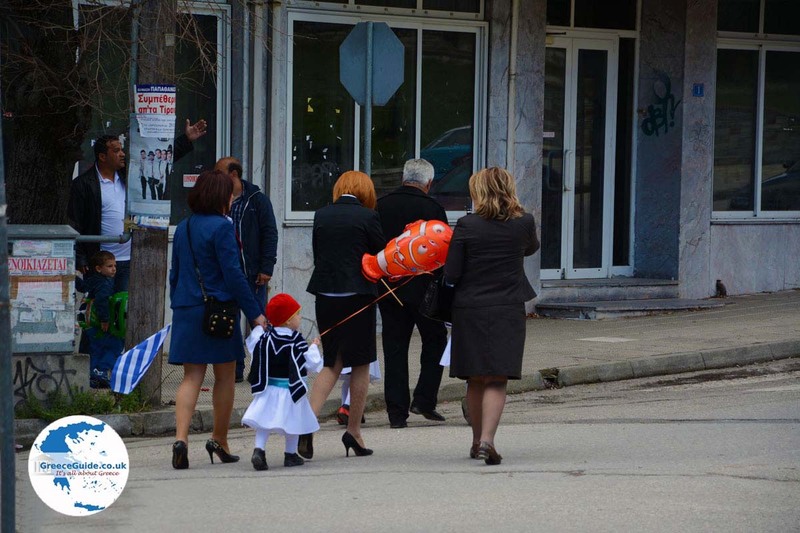 Florina. 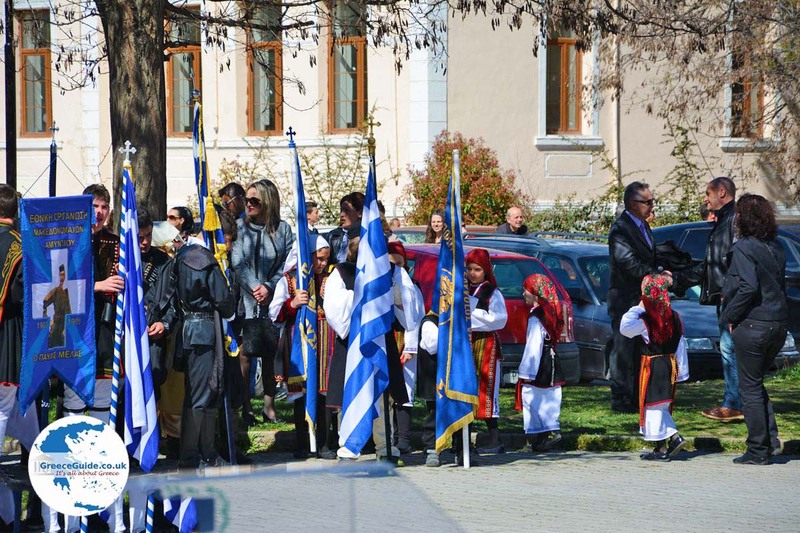 Florina is one of the thirteen prefectures in the Greek region of Macedonia in northern Greece. It is bordered to the north by the Former Yugoslav Republic of Macedonia and in the west by Albania. The capital of Florina is Florina town. The prefecture of Florina in Greece is known for its unparalleled beauty with many mountains, rivers and lakes. 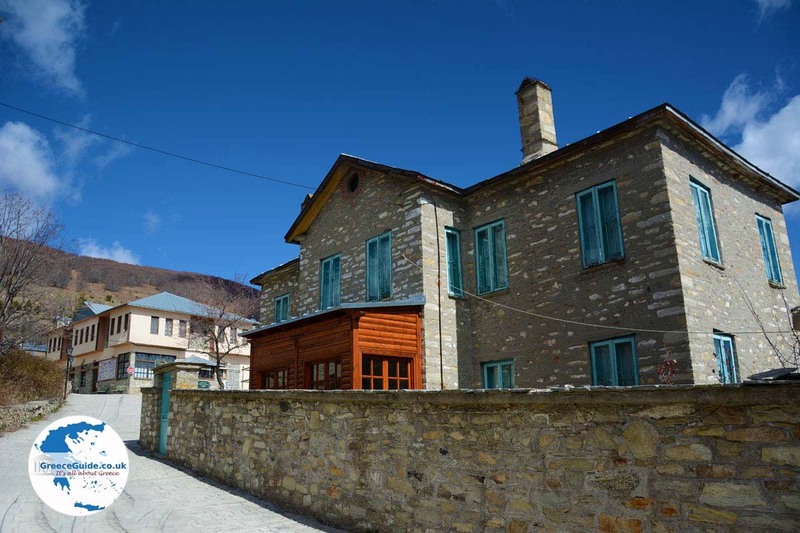 While in Florina, you are only a half hour away from Thessaloniki by car. 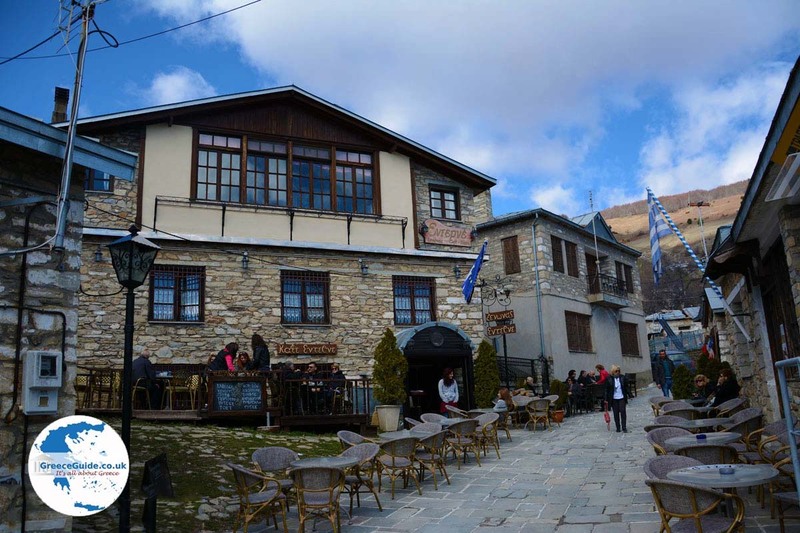 Coming from Thessaloniki, you can opt to take the route Thessaloniki-Edessa-Florina, which is the provincial route, which takes you through all kinds of beautiful towns and villages. Along this route you really taste the nature. 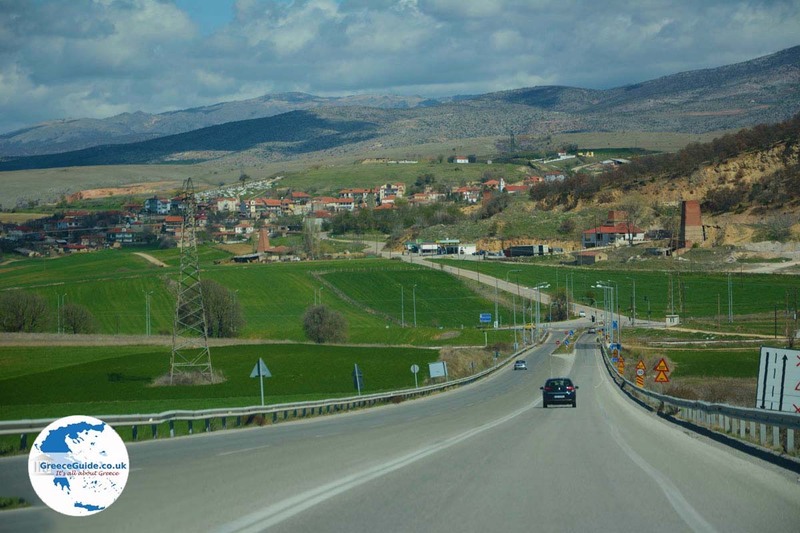 You can also take the Egnatia-route, which is the motorway towards Igoumenitsa and Siatista and drive through Kastoria to Florina. The latter route is faster, but the disadvantage is that you will not see many beautiful places. Florina town lies on the River Sakoulevas. It is a typical northern Greek town that is located at 700 meters (2,300 ft) altitude above sea level and is surrounded by forests. About 20,000 people live in this town. 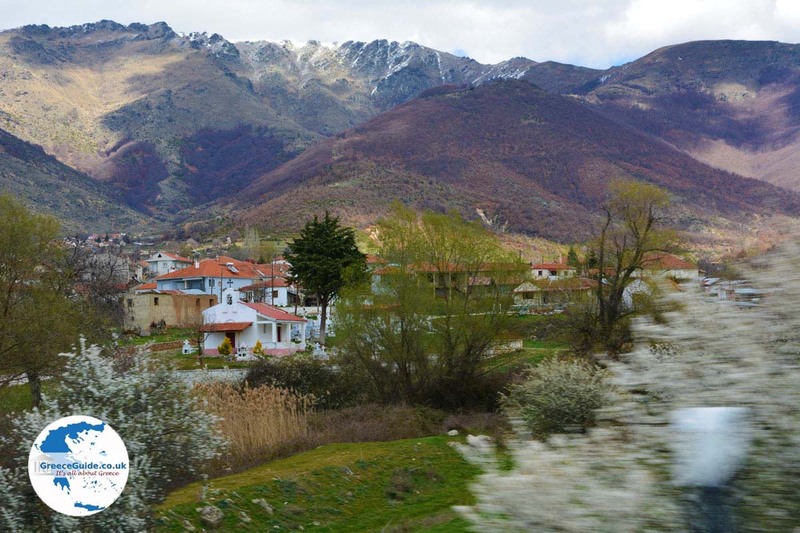 Florina town is also accessible by train from Thessaloniki. The railway, used for the first time in the year 1893, made â€‹â€‹Florina town flourish. 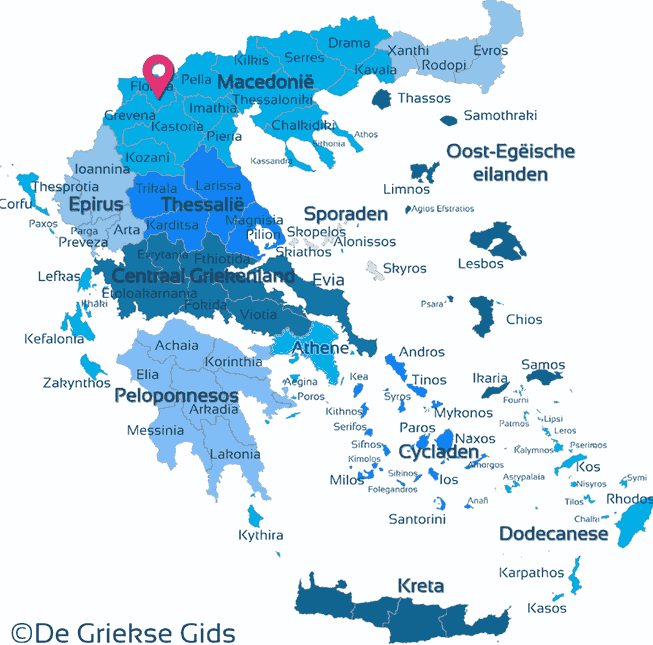 The climate of the whole area is one of the coldest of Greece. In winter there is a lot of snow and the temperature can get to 20 degrees below zero Celsius (-4o F). Summer daytime temperatures can be very warm, reaching above thirty, sometimes forty degrees Celsius (about 85-105o F). 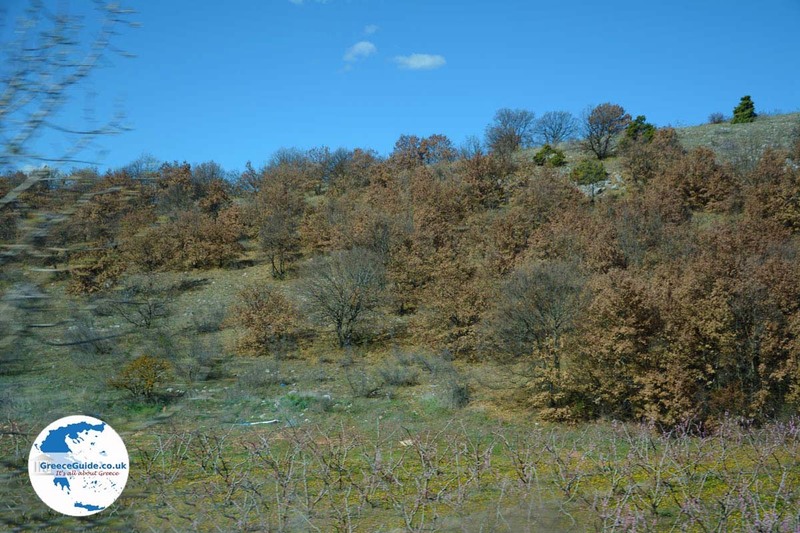 In recent decades, the prefecture of Florina has become a well developed tourist spot, especially through eco-tourism. In the winter, it attracts many winter tourists because at the ski area of Vigla, near the village Pisoderi, there are 10 ski slopes. There are many quaint, traditional villages such as the village Nimfeo located on a mountain at 1,300 meters (4,300 ft) altitude. The route to the village is fascinating. Along the way are several places where you can stop to take beautiful pictures. From above you can see a beautiful vast plain that is surrounded by high mountains. 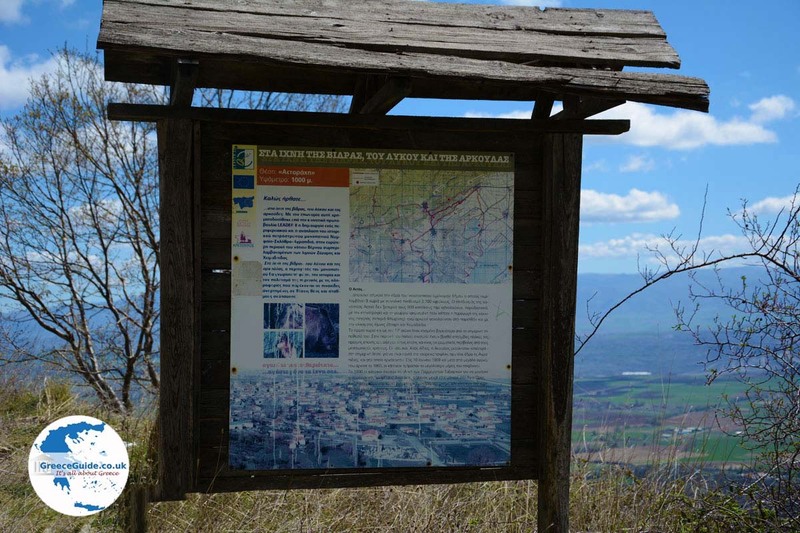 On the plain you can see several lakes such as Chimatitis, Zazari and slightly further Vegioritis and Petres. 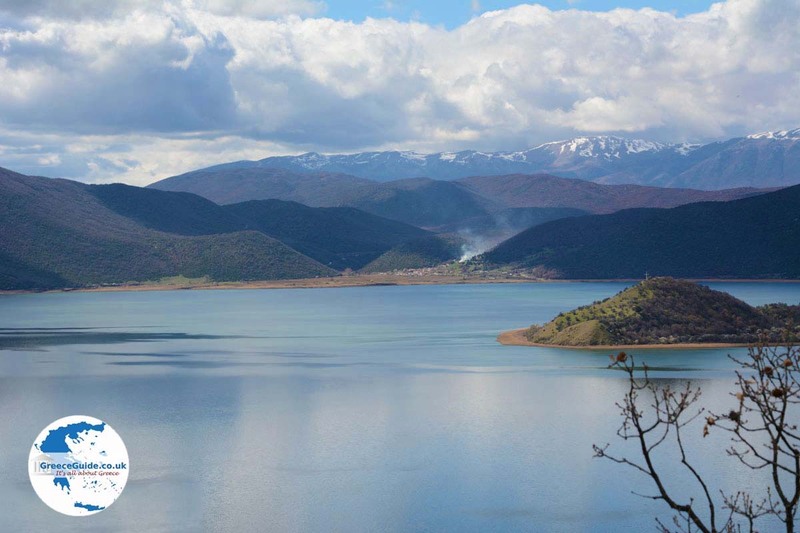 A main attractions of Florina are the lakes of Prespes – two lakes, large and small Prespa. 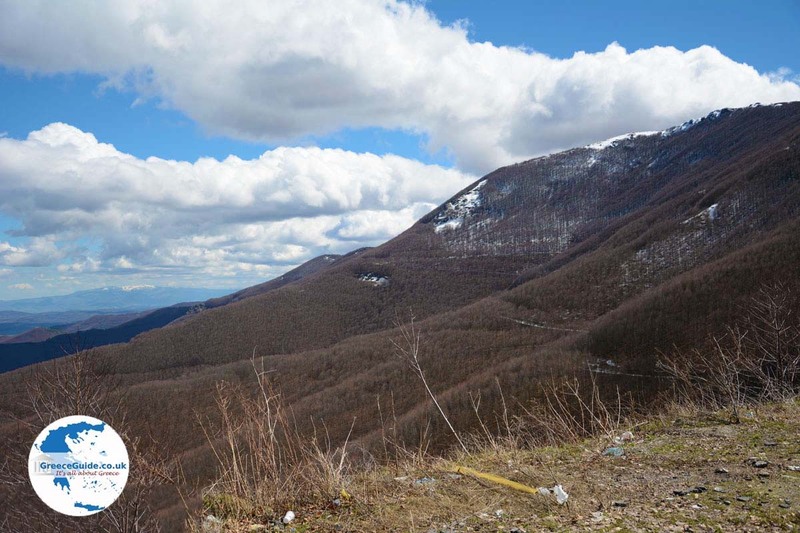 These are located to the west of Florina town at an altitude of 800 meters (2,600 ft) above the sea level. 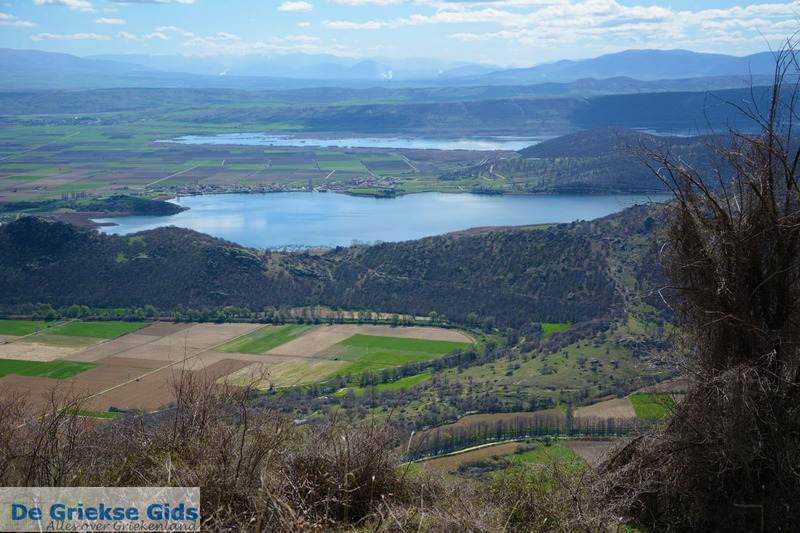 These two lakes are situated next to each other and are separated by a narrow strip of land. 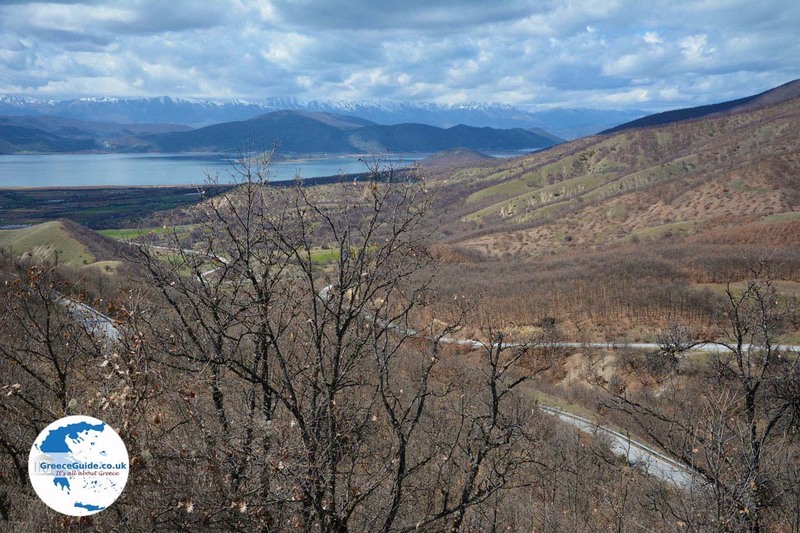 In the Great Prespa Lake is the border triangle between Greece-Albania-Former Yugoslav Republic of Macedonia. 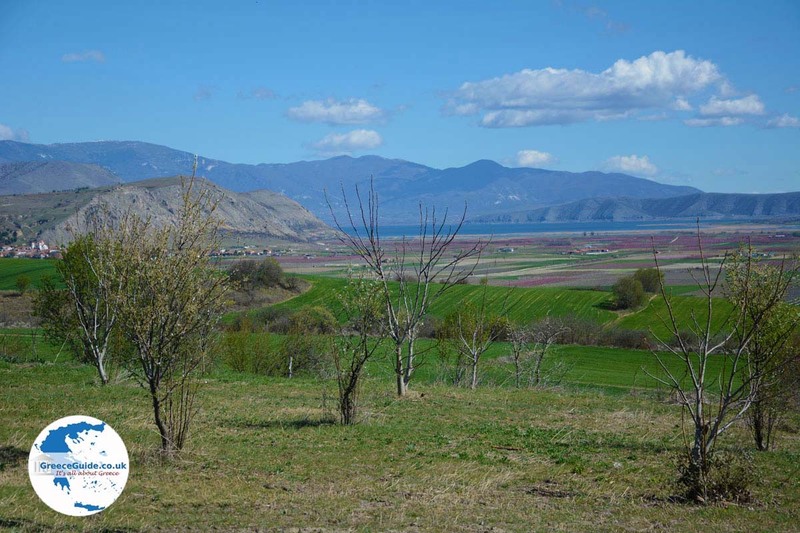 Small Prespa is mainly in Greek territory. A very small part of the lake is in Albania. In Small Prespa are two small islands, Agios Achillios and Vidronissi. 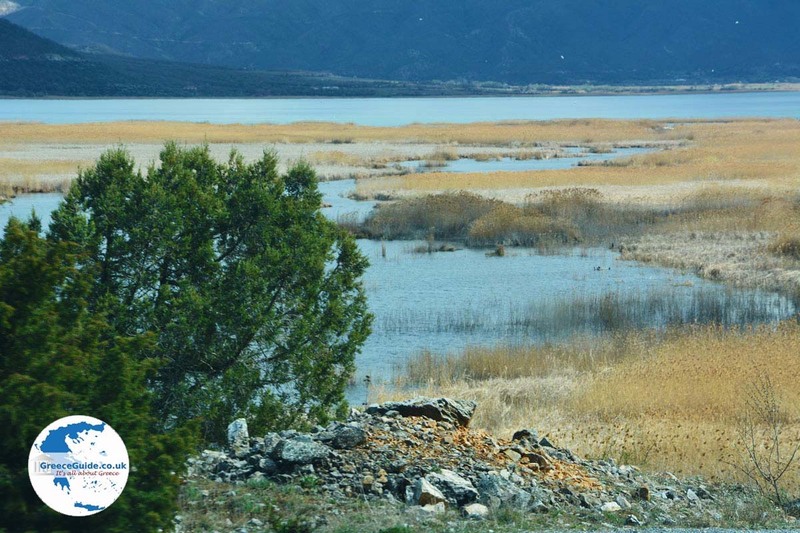 Both Great and Small Prespa are specially protected natural areas where many species of birds reside. Florina city: the Archaeological Museum (near the train station) and the Museum of Modern Art. 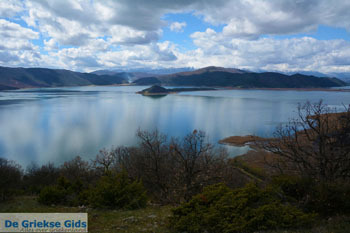 The islet Agios Achillios in Lake Mikri Prespa. This island is known for its Byzantine and Post-Byzantine ecclesiastical monuments. 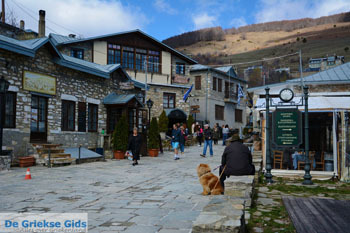 The town Amindeo, 41 kilometers (25 mi) southeast of Florina. One of the best wines in the world is produced in this area. Vegoritida, the lake and the town of Agios Panteleimon, which is an ancient settlement. 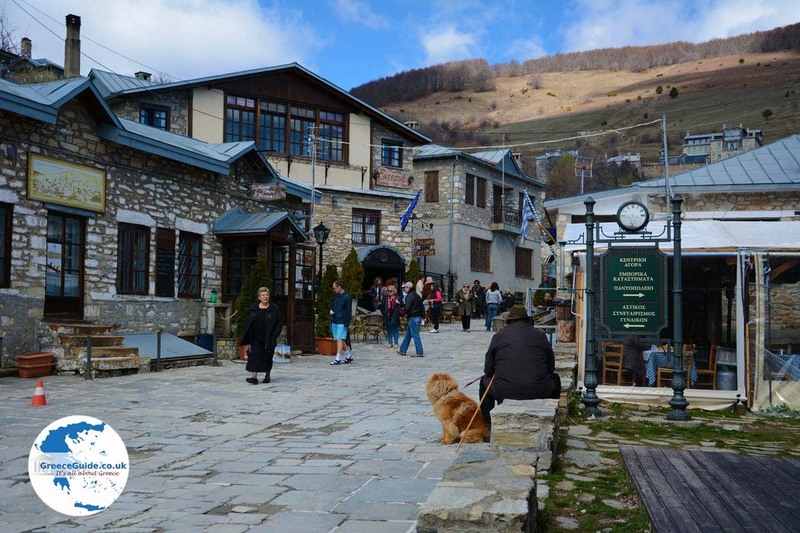 The traditional mountain village Nimfeon (which is at 1,350 meters/4,400 ft) altitude above sea level, and 50 kilometers (30 mi) southeast of Florina City). Prespes Lakes (Mikri and Megali Prespa). The village of Agios Germanos where the eponymous Byzantine church was built in the 11th century. In the village there are various seafood taverns serving fresh fish from the lake. The village was named after the Patriarch Germanos of Constantinople who died here. Bus: Florina by bus from Athens (574 kilometers/350 mi) and Thessaloniki (160 kilometers/100 mi) away. Then take the bus from Florina to the villages of the prefecture. Train: Take the inter-city train to Amindeo, and then continue with the regular train. By train one can also opt for the route Athens-Plati-Florina and Thessaloniki-Florina. Florina: Where on the map is Florina located?